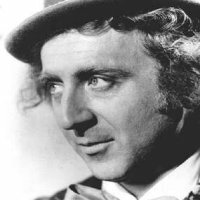 Games, MP3s, Links, Quotes (and the famous literature they came from), Pictures, Lyrics a dicussion board and other great stuff from the hit cult movie, Willy Wonka and the Chocolate Factory. A new version of the movie is being made. Will it be a remake, or will it be a completely new adaptation of the great book by Roald Dahl? With the brilliant film director Tim Burton behind the project, it is destined to be a modern day classic. Stay tuned to this unofficial page for updates and rumors about the new film. Who will play Willie Wonka? Johnny Depp? Christopher Walken? The producers of this new version will include Brad Pitt and Jennifer Aniston! Download the text (.txt) version of Willy Wonka and the Chocolate Factory. The Movie Willy Wonka and the Chocolate Factory is Copyright 1971 Warner Brothers. This page is just a fan's dedication to a great movie. No copyright infringment intended.